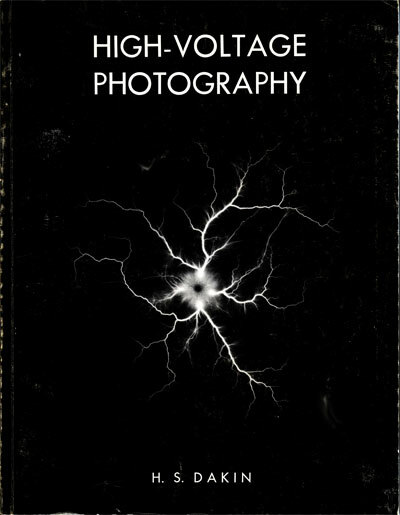 Even though the "psychics" and their ilk have co-opted the term, Kirlian photography is high-voltage photography--the name comes from one of the pioneers of the field. The idea is that you put a little high-voltage electricity though an object, electrons flow and light is emitted, which is captured on film. If you get good at it, you can get some incredible results. Of course to do this you need a source of high voltage electricity, which means you'll probably have to make it yourself, which means (doubly) you have to be careful--you can't just buy a rig from Ritz Camera and start as soon as you get home. This was written in 1974 (my 2nd edition was 1975), so it's very dated. Shouldn't have been a big problem for a long time, but of course now with digital cameras, it's a whole new ball game. There's no way I'm putting any of my digital cameras, even the bad ones, anywhere near a high voltage rig. But then, most of the solutions in this book require the film to be sandwiched between the conducting plates, which means the electricity would flow though it; that's not going to fly with a digital sensor. Still it's interesting, and if you're still using film there may be something here. I've wanted to try it but not enough to actually do it; I've always got 15 other things vying for my attention. But if you're the DIY type, the book is worth a look. A fair amount of it contains plans and ideas for making the necessary equipment (most using an automobile ignition coil, which is still commonly available). If I were to do it, I'd try to for a technique where the object (let's say an oak leaf) sits on a pane of glass; the electrodes are hooked to it, also on the glass; and the digital camera is below the glass, safely separated from the electrical blast. 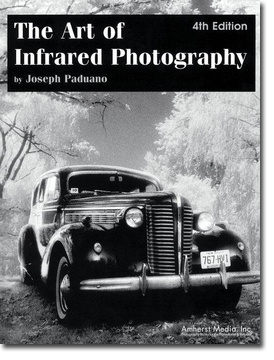 My copy is a hardback of two Kodak technical publications, M-27: Ultraviolet and Fluorescence Photograhy; and M-28: Applied Infrared Photography. I mention this because people may find these publications separately. I found the ultraviolet part particularly interesting because I rarely see it mentioned anywhere outside astro-photography. 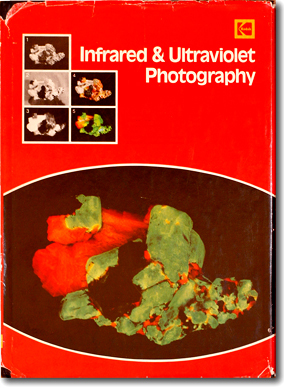 Here the book is primarily interested with UV photography for technical purposes: dental photos, luminescence of minerals, etc. Examples include examples of detecting an altered car registration and revealing a latent fingerprint. The Infrared portion gets more into the creative aspects, since Infrared images are not analogous to normal sight; B&W images have weird tonality because objects reflect IR differently than natural light, so a tree whose leaves appear lush green to the eye, or medium-dark gray in regular B&W may appear white in an IR photo. Color images show up as bizarre "false color," which could be anything. If I remember, the movie Galaxina's alien-planet segments were shot in color IR to give everything an otherworldly false-color effect. The Infrared section is much beefier than the UV. Again there are sections on practical applications of all sorts. The problem with both sections is that digital photography has pretty much taken over these fields. I don't know if you can even get the films anymore. This is something I've played around with a little, though not nearly enough. Prior to that, I let myself get bogged down with too many excuses of why I didn't want to blow money on Infrared (IR) film; you can't meter it (because you don't know if the meter will respond the same way as the film will); you can't even focus it (though you can approximate the compensation); you don't know what you're going to get until you finish the roll and develop. Experimentation can be expensive and frustrating. And of color was even more of an enigma. Still, there's something neat about IR: it's a different and often pleasing way of seeing the world, especially in B&W; an otherwise blah photo sometimes pops to life with luminescence when shot in IR. This is the 4th edition, which appears to be the most recent, and it's from 1998. That means the emphasis is still on film photography. In terms of filtration and how IR is rendered differently in B&W and color than visual light is still relevant in the digital age. Things like how camera sensors see (or don't see) IR are very obsolete (the two cameras discussed are Kodak's DCS 420 IR and Canon's EOS DCS 5 IR). If you find the book cheap, it may be worth your time to look it over; otherwise I'd look for something written (or updated) within the last few years.